One of the themes I tried to hit frequently in Waiting in Wonder is strengthening one’s marriage. 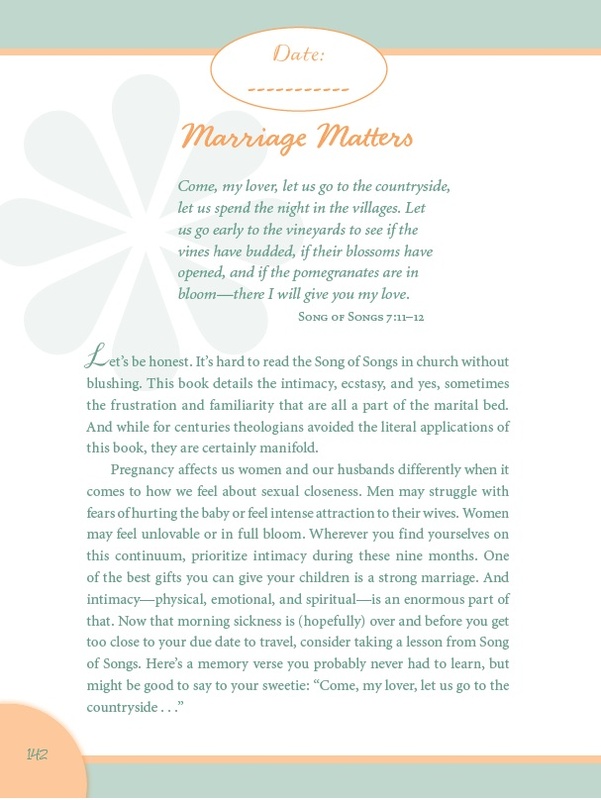 While I realize that not everyone who reads the book will be married, I do believe that a healthy God-centered marriage is the best place for a little one to thrive. Yet, in the midst of buying baby gear, baby-proofing the home, painting the nursery, picking out the perfect name, attending birth classes, and figuring out how to correctly install a car-seat, I wonder how many couples truly take time to strengthen their marriages as they await the arrival of their little one. After all, while baby likely won’t remember the color of his or her nursery or whether the stroller collapsed with a quick push of a button, that child will remember the health of his or her parents’ marriage for life. It will impact not only how that child sees God, but also that child’s view of how a man and woman should relate. 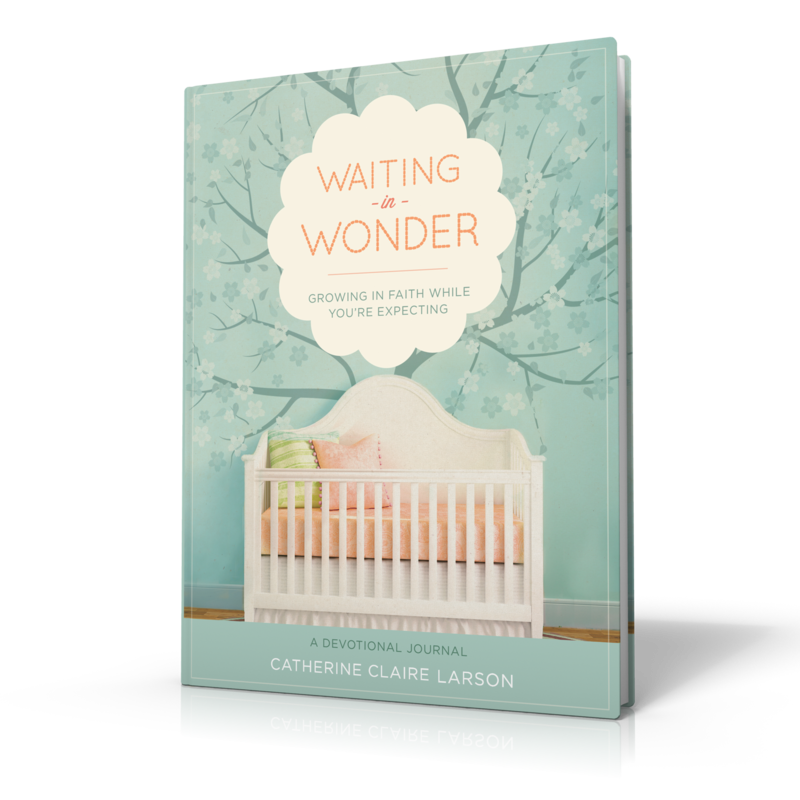 And if you still haven’t ordered a copy of Waiting in Wonder for yourself or as a gift, get a few copies today. Want Live Expectantly delivered straight to your inbox? Why not subscribe? I so wish we had done a better job than we did at our marriage during our first pregnancy. I was so paranoid since I had a terrible miscarriage at 12 weeks and I so focused every week on how things were going. I definitely lost site at the end of our intimacy. I’m not married, so I don’t know from firsthand experience. But, the most important thing I look for in a man is humility and submission to God. In our distracted culture, one must be intentional to choose relationships whether they be vertical relationships or horizontal, earthly. A strong and loving marriage is the result on countless small choices to pull together and not apart. An intimate marriage is a gift from God but a gift that comes often from effort and planned time together. 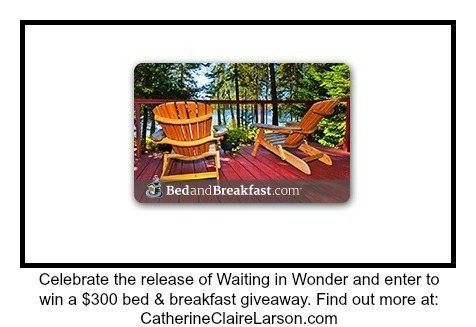 Thank you, Catherine, for your wise words on this subject! Since we’ve been new parents, I haven’t seen my husband take much time for himself — he sacrifices so much for our family and does so without complaint. Makes me love him even more! I love how my husband serves God and his family. One of my favorite ways that he serves is to get our daughter up and ready in the morning so I can lounge in bed for a few more minutes! My books have shipped! Some will come tomorrow and the others later this week. I hope to give some away at church this weekend. I’m thankful that my sweet husband cared for my heart and soul even when we were dating. I didn’t realize how much that would play into our marriage and how much it would be a foreshadow of what was to come. I love my husband’s steadfastness to do what Jesus would want him to do! My husband is genuine, caring, loving and witty – I am very blessed and grateful! I appreciate that my husband loves the Lord, has an amazing work ethic, and is patient with me and our daughter. I admire my husband’s perseverance through circumstances and his positive attitude in dealing with those situations. Also how he goes above and beyond to make our family comfortable by going the extra mile. Love him! I admire so many things about my husband but if I had to pick my top 3 they would be his incredible attitude in approaching life and all the surprises therein, his commitment and abundant love for me and how I know with absolute certainty that he will be an AMAZING father to our baby! I am so thankful for the way that my husband is always there by my side to help no matter what. Whethere it be staying up with a sick child, mopping the floors or fixing the cars. He shows how much he loves me and our family with his servant leader attidude. He is the hardest working man I know. I admire my husband’s leadership and his desire to invest in the lives of young adults, and encourage them to follow God’s call on their lives. A 50/50 relationship is so important. Being there for one another when your spouse needs you, especially in the hardest of times. I praise God for my wonderful husband! So many things! His humility, his calm and capable manner in all sorts of situations, his devotion to me and our children… Good question!! I like reflecting on this. If you are married, what qualities do you admire most in your spouse? The qualities I admire most in my husband is his calming abilities, his ability to reason, and his love and devotion to his family.